HomeKCS BlogAir ConditioningWhat is Air Conditioner Freon Anyways? What is Air Conditioner Freon Anyways? As we get into summer, and as air conditioners across the world again get fired up, HVAC companies will get hundreds of phone calls from customers whose A/C’s won’t keep up. A very common diagnosis for air conditioners that can’t keep up is low refrigeration. Before you give the go head to your HVAC professional to “charge” the system, which is the term used to refill to the appropriate level, there are a few things you need to know. 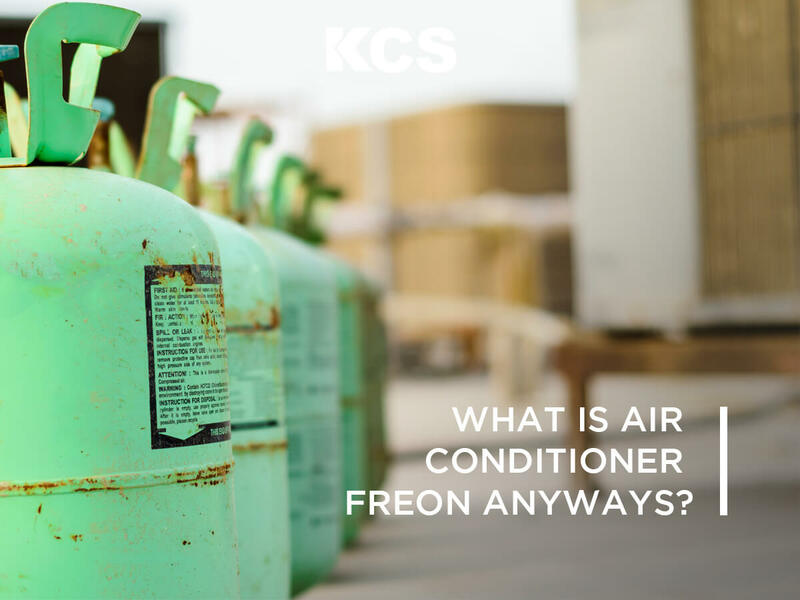 One of the things you need to know, and many people ask is what is Freon and what its purpose is in an air conditioner. First, Freon is a chlorofluorocarbon (CFC) that has been linked to ozone depletion, so it has quickly been phased out of use. Since 2015, it has been illegal to use Hydrochlorofluorocarbons (HCFCs), including the ozone-depleting refrigerant gas R22, in refrigeration, heat pump and air conditioning (AC) systems. R22 is commonly used in AC systems predating 2004 and its ban has had a major effect on air-conditioning costs. This doesn’t necessarily mean you should or need to go out and buy new HVAC equipment right away. Unless, of course, you’re concerned about your carbon footprint, have equipment that contains the refrigerant known as Freon, and are concerned if your equipment will be compatible with new refrigerant that meets federal guidelines, which a professional should be able to inform you of over the phone. We are providing you with a short history of Freon and what has happened to its use, so that you may better understand how to determine the best course of action with your air conditioning units. CFCs were first synthesized in the 1890s, however, they were extremely dangerous and flammable. In the 1920s, another team was formed by General Motors to find a safer alternative that was more stable and nontoxic. Frigidaire, a division of GM, received the patent for a refrigerating apparatus. In 1930, GM and DuPont came together and formed Kinetic Chemicals to produce Freon. Freon is a colorless gas that is also known as R-22. Dupont trademarked the name Freon. CFCs have been used in refrigeration and aerosol cans for many years, but in 1974, a researcher at the University of California hypothesized that CFCs were destroying the ozone layer. It took years of research by the National Academy of Science, but eventually, the United States banned the use of CFCs in aerosol cans. In 1987, the Montreal Protocol, which is an international environmental agreement, established the phase-out of CFCs. Not only does Freon itself harm the ozone layer, but the manufacturing of Freon releases another product into the atmosphere. This gas, called HFC-23, is also harmful and contributes to global warming. Although Freon is highly restricted and regulated in its use, older appliances still use and release this harmful gas. Some people have even used this compound to “huff.” Inhaling Freon produces a high that is similar to what is felt from drinking alcohol, and doing so can freeze the lungs or cause brain damage. This is another lesser known reason why the refrigerant has been banned along with other HCFC’s. 1) Know what kind of refrigerant your air conditioner or heat pump uses and how low it is. R22, which is commonly known as freon, was the most prominent refrigerant in use until a few years ago when the EPA mandated production be stopped. In its place, R410a (Puron) refrigerant has taken over as the primary refrigeration used. Once you know the type, the HVAC professional should be able to give at least a range of estimate on how the system is on refrigerant. 2) Why is my refrigerant low? Air conditioners and heat pumps are closed loops systems. Unlike gas in your car, refrigeration doesn’t just disappear over time. If your system is low causing a lack of cooling, there is likely a leak in the system. 3) To leak test or not? 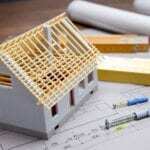 Knowing that your system has a leak, there are two ways to go about repairing. If you’ve never had the refrigerant recharged on your system, you can do so without a leak test. Depending on the age and condition of your air conditioning, your system might have a slow leak which may be able to hold the new refrigerant. However, if you’ve already had refrigerant added in the past or are concerned that the leak is more significant, a leak test is required before adding any additional refrigerant. 4) What kind of leak test will be done? Everyone has their opinion on which leak test is the best, but many times the technician on site will offer up an opinion on which he thinks will identify your issue in the most cost-effective way. There are devices that detect refrigerant that is out of the system, that a technician can run along joints and coils of the A/C system. We can evacuation the system and put it under high-pressure nitrogen test, where the joints, coils and other problem areas are coated in soap bubbles to detect air leakage. There are additional tests outlined by the EPA here, which meet their high standards. The bottom line is that your HVAC professional should detail the type of test and cost before proceeding. 5) Where’s the leak and how much is the repair? Depending on what the leak test shows there are really two distinct directions. It is likely an easy fix in a visible joint or valve that can quickly be repaired, or it’s something more significant in the evaporator or condenser coil. The former because of the limited expense is an easy go-ahead if it’s an R410a system. If you are dealing with a coil and an R22 system, you should probably discuss the replacement of the full system because of the significant expense of both the equipment and refrigerant. Knowing these things will assist you in making the appropriate decision, and taking the best action concerning your HVAC equipment. At the very least, you’re a certified air conditioner freon expert!